Sun protection for pets is getting increasing attention. Animals with white coats, those with a haircut, and those that have naturally thin (or non-existent) hair coats are particularly sensitive to the sun and may suffer the same ills as humans: sunburn and skin cancers. Learn important tips and cautions for protecting your pet on those sunny days. Shade and fresh water should be available at all times to keep your pet comfortable and prevent heat stroke. A fully-shaded quarters (such as a kennel) reduces the risks of damage for outdoor pets. Consider buying a sun block top for outdoor housing. Having shrubs, trees, and other foliage that casts shadows and creates shady retreats will help protect your pet. You might also try to keep your pet indoors from 10 a.m. til 2 p.m. when the sun's rays are strongest. Like humans, pets should have sunblock applied to sun-sensitive areas such as tips of ears, nose, belly, and groin areas that typically have sparse hair coverage and thinner skin. Cats love to sunbathe and some dogs will too—belly up. Additionally, many people get "summer cuts" for their cats and dogs to reduce matting and keep the pets comfortable in the summer heat. Sunburn is a definite possibility, and groomers should warn pet owners of this possibility. Physical sunblocks can also include placing an old T-shirt on your pet or even an infant onesie that is rated for sun safety. Dogs and cats are adept at licking off topical lotions, sprays, and creams. These substances can be toxic to dogs and especially to cats. It was once recommended that anything safe for human babies would be OK to use on pets with supervision (let the lotion soak in before licking can occur). That is a guideline, but with the following considerations in mind. Using products on a species not covered by product usage guidelines is off-label usage. Please consult with your veterinarian prior to using any human products or medications on your pet. Toxicities resulting from off-label usage by pet owners was the number one pet health insurance claim in a survey by VPI. It is very important to read all instructions and directions before applying any product to your pet. Use pet-safe sunscreens if possible. 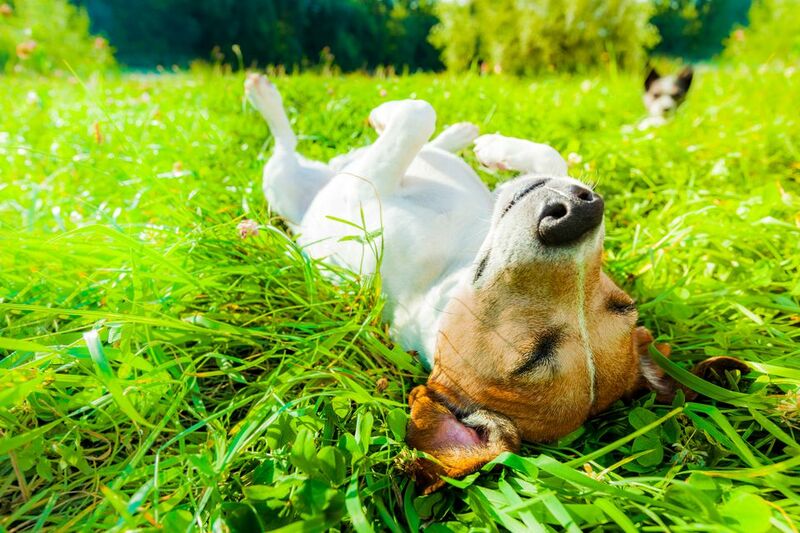 One FDA-approved pet sunscreen is Epi-Pet Sun Protector. This is great news for dogs and horses but unfortunately is not able to be used on cats. A feline sunscreen is being worked on, however. The marketing director for Epi-Pet has said that two of the ingredients commonly used in sunscreens break down in cats to salicylic acid, a.k.a aspirin, a known toxin for cats. Zinc oxide sunscreen is toxic for dogs. It can cause a severe anemia. You should also avoid it for your cat. For your cat, you must avoid products with octyl salicylate, homosalate, and ethylhexyl salicylate, which are common sunscreen ingredients. Sunscreens contain ingredients that are absorbed through the skin and are regulated by the FDA. All ingredients should be listed on the container. Sun Protection Factor (SPF) has not been rated for animals, and because of this, SPS of animal-specific products should be labeled as "comparable to" their human counterparts, according to FDA requirements. If your pet does get sunburned, it is important to treat it with first aid.